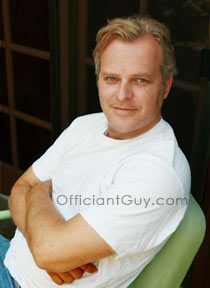 I have been a wedding officiant, similar to a Los Angeles justice of the peace, for many years. During that time I have officiated weddings of all kinds, including civil weddings and religious weddings. Those weddings were all over Los Angeles County and Orange County and many have been in Santa Monica locations including the Fairmont Miramar Hotel. It is a wonderful Southern California wedding venue that you might consider for your wedding. Combining cosmopolitan sophistication and beach resort lifestyle, the Fairmont Miramar provides the one of the best California wedding sites. It is tucked away in tropical gardens atop the scenic bluffs of Santa Monica Beach. The beautiful facilities offer over 25,000 square feet of unique meeting and conference space to accommodate groups from 12 to 900 people. If you need a non-denominational wedding officiant than you are on the right wedding website. The Fairmont Miramar offers unparalleled views of the Pacific Ocean and provides a unique location for every aspect of your wedding plans including reception, bridal shower and rehearsal dinner. I have officiated a handful of weddings under the majestic and historic Moreton Bay fig tree and the setting is simply stunning. If you would prefer a more intimate ceremony you may wish to have your wedding in one of the cozy bungalows. The Fairmont Miramar’s creative special events staff and culinary team will help you with every step of the planning process. 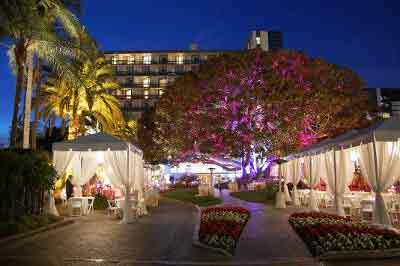 If you are planning your wedding ceremony or reception in Santa Monica or anywhere else in Los Angeles County or Orange County, consider the wonderful settings and amenities at the Fairmont Miramar Hotel in Santa Monica. 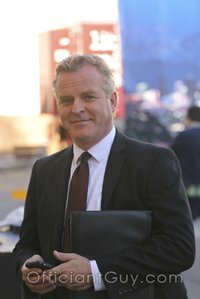 And as you plan the details of your wedding ceremony, please consider this “justice of the peace”, the Officiant Guy, as your wedding officiant.